We were engaged by Australia’s largest wine brand, Jacob’s Creek, to film Chef Martin Yan’s cooking demonstration. This event video is a live High Definition multi-camera production. 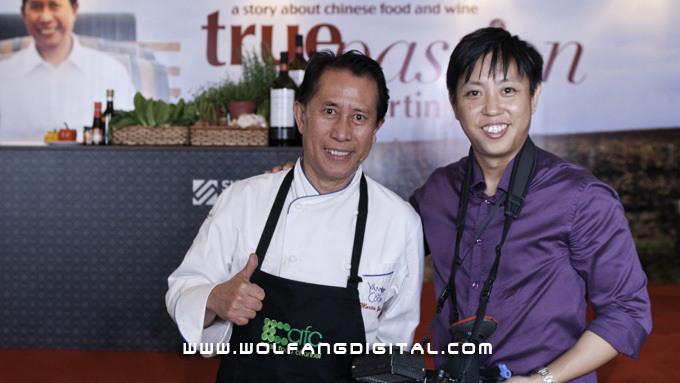 True Passion- Martin Yan, is AFC’s (Asian Food Channel) recent production and features Chef Yan’s latest adventure: pairing his authentic delectable Asian cuisines with Australia’s largest wine brand, Jacob’s Creek. We filmed this event video with 3 cameras and a video switcher. The videos are immediately projected live onto LCD and plasma screens around the ballroom for guests to see the action.